IN-LAWS of the late Harare businessman Marc-Cloud Mapanga, who was shot dead in cold blood on Monday night, have snubbed funeral proceedings. Initial indications were that the deceased’s wife Bridget Makaza was also a suspect. Mapanga was found dead at his Strathaven house on Monday from three gun-shots while his wife was also present at the house. Bridget was yesterday assisting homicide police with investigations. A relative to the deceased, who preferred anonymity, said they were saddened by their in-laws’ decision. “This is the second day of the funeral but we haven’t seen any one of the in-laws here. “I think what’s bothering them is the fact that Amai Mapanga is currently in police custody over the death. 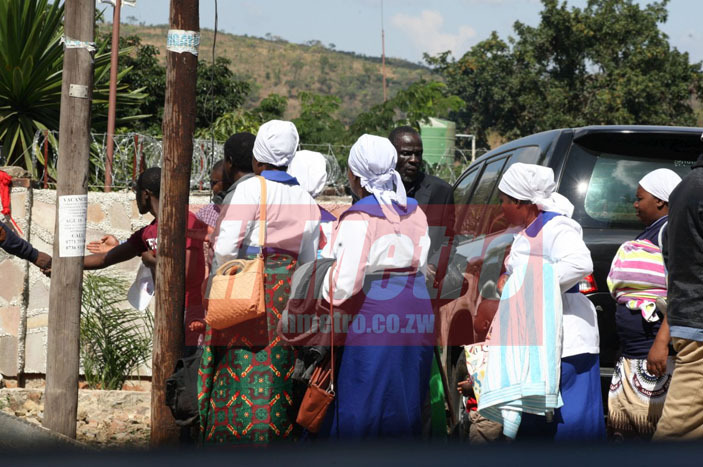 “As a family we decided to have the funeral at the family house here in Chisipite because we felt having the funeral at the place where the deceased was shot would be traumatising for the mourners. “We also took the decision to allow the police to do all their investigations that they may want do to at the house without interference,” said the source. “We will have a little bit of clarity of what really transpired after the post-mortem is done. “It is certain that he (Mapanga) died from gun-shots but post-mortem can shed light on whether it was a case of suicide or someone else shot him,” added the source. During a church service held yesterday, the deceased was said to have contacted his pastor two hours before he died. “Mac Cloud was one of us and on Sunday he came to church together with his wife. “They are saying he died around 2am but two hours before he died he had contacted his pastor telling him that he wanted to see him early in the morning,” said the preacher.